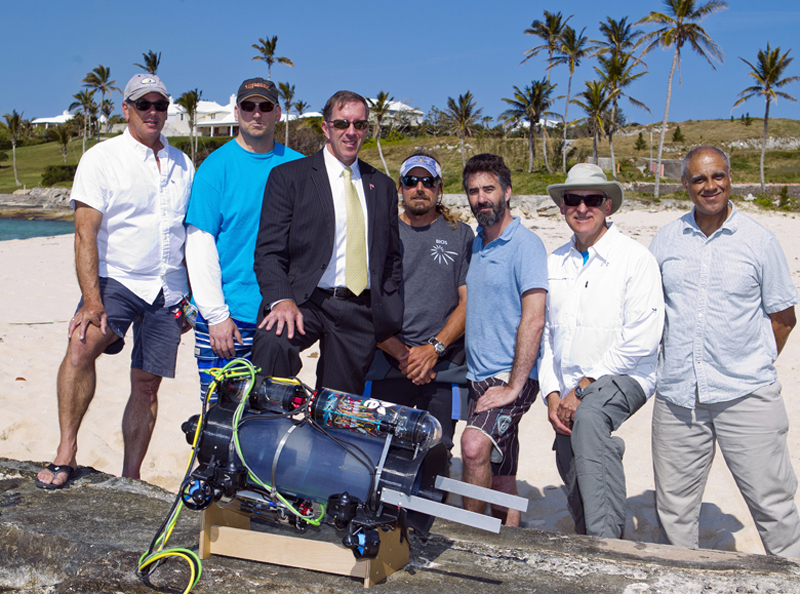 The non-profit group RSE: Robots in Service of the Environment is unveiling the Guardian LF1, an affordable unmanned undersea robot designed to control the population of invasive lionfish in the Atlantic. Designed to cost less than $1000 and go below sport diver depth down to 400 feet, the Guardian LF1 fully functioning prototypes can stun and collect up to ten lionfish before bringing them to the surface. The group is hoping their campaign will help decrease populations of the voracious lionfish that is destroying beautiful reefs, threatening coastal tourism, challenging the fishing industry, and massively disrupting the Atlantic marine ecosystem, aiming to deploy a fleet of affordable robots to cull targeted populations of lionfish in the Atlantic. “The lionfish is the perfect invader, a venomous fish with an unquenchable appetite and no natural predators,” said Colin Angle, co-founder and executive chairman of RSE. RSE will unveil the Guardian LF1 at a #EatLionfish Chefs’ Throwdown in Bermuda hosted by 11thHour Racing on April 19, ahead of Earth day. 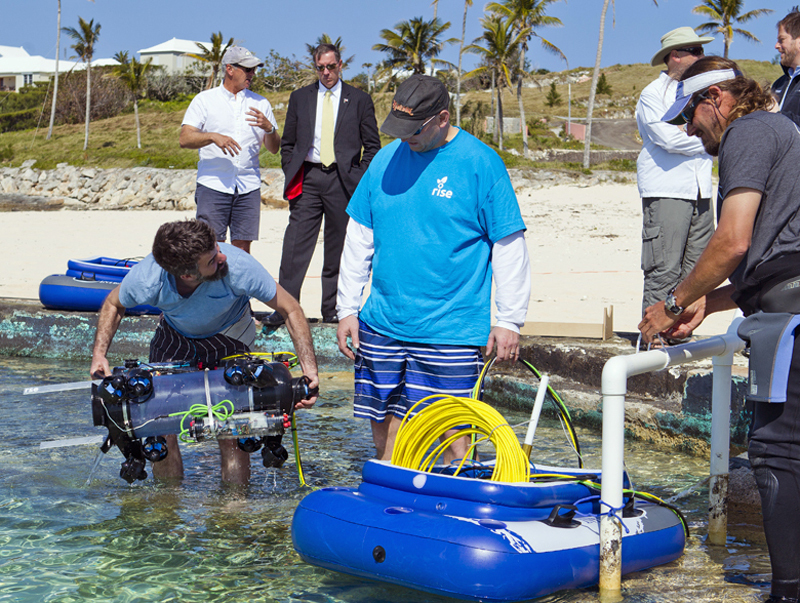 In advance of the #EatLionfish Chefs’ Throwdown, the Guardian LF1 was used to showcase the important role low-cost robots can play in creating a reliable and sustainable way to bring lionfish meat to market. 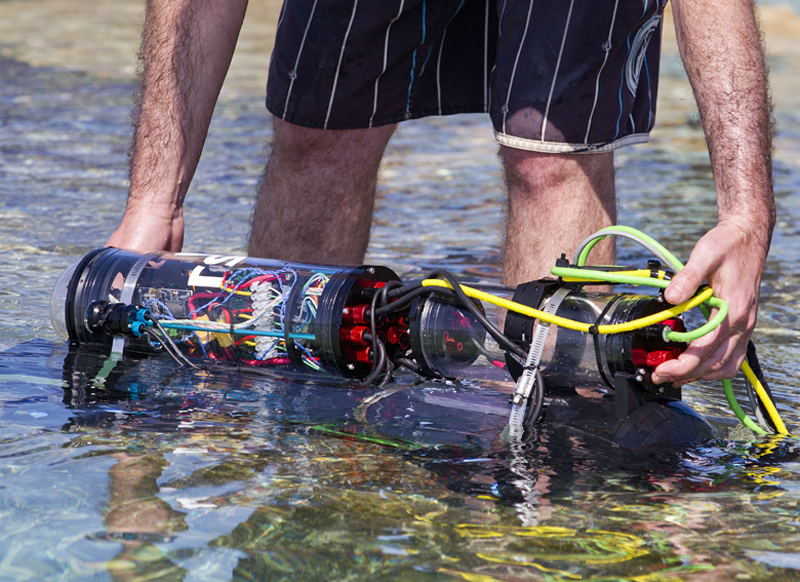 The Guardian LF1 undersea robot consists of two main components: an underwater remotely operated vehicle [ROV] with an innovative capture mechanism, tethered to a remote surface control station. 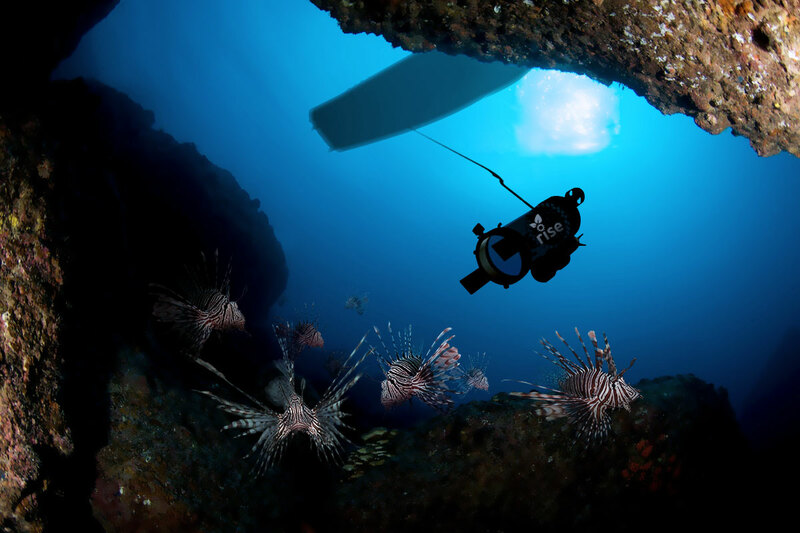 The underwater ROV is deployed from the ocean surface to seek out lionfish which can be located up to several hundred feet below safe sport diver depth. An operator at the surface controls the Guardian LF1 movements via a game controller locating and capturing lionfish. Eight separate thrusters mounted on the ROV enable it to move smoothly in all planes of motion and maintain position regardless of undersea currents using an onboard autopilot. Once a lionfish has been identified by the operator, through cameras and lights on the ROV, a pair of electrodes mounted on the ROV are used to apply a small electric current to the water near the fish. The operator safely controls the application of this low voltage alternating electric current, activating it for a very short period to stun and immobilize the fish. Similar technology is used regularly by marine biologists in freshwater to capture and release fish unharmed. The RSE team collaborated with experts in the field of electrofishing to adapt this technology for use in salt water. As soon as the lionfish is immobilized, it is quickly suctioned into a containment vessel on the ROV. An innovative suctioning system was especially designed by the RSE engineering team that requires minimal power while producing a strong flow to draw in the stunned fish. 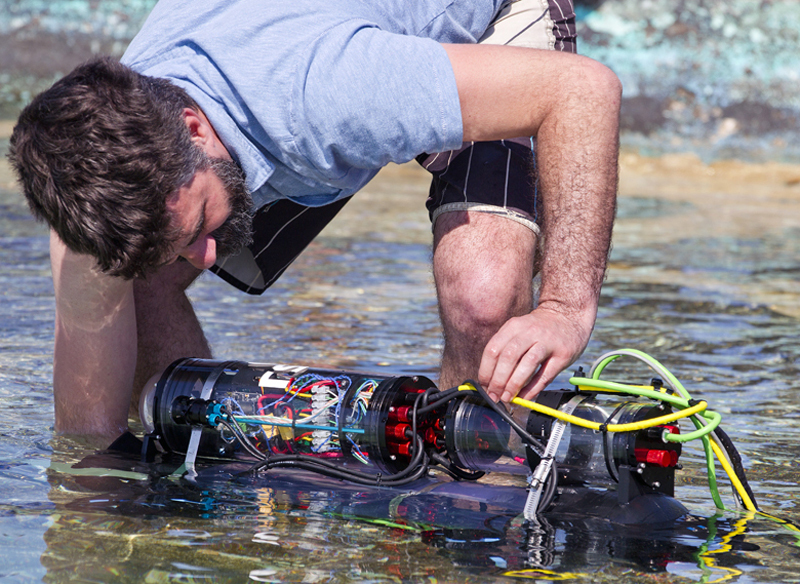 A single robot can capture up to 10 lionfish before returning to the surface. The design is modular which will allow future versions to hold more or fewer fish. RSE’s innovative and viable solution to the issue of the invasive lionfish has been supported by two programs of The Schmidt Family Foundation: Schmidt Marine Technology Partners, which provided early funding to RSE for research and development, and 11th Hour Racing, which establishes strategic partnerships within the sailing and marine communities to promote collaborative systemic change for the health of our ocean. 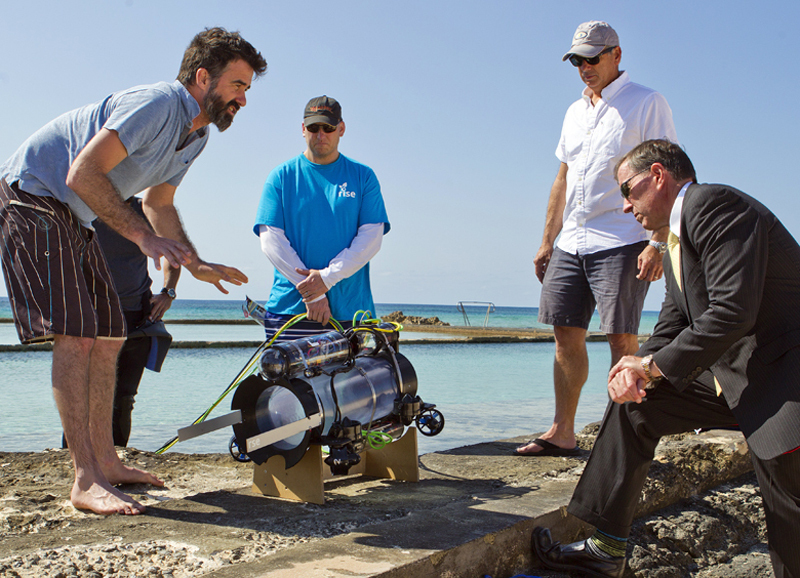 RSE has also been supported through a strong partnership with the Bermuda Government through their technical experts from the Ministry of the Environment which includes fisheries and marine conservation. “I was delighted to be on site yesterday for the demonstration of the Guardian LF1. 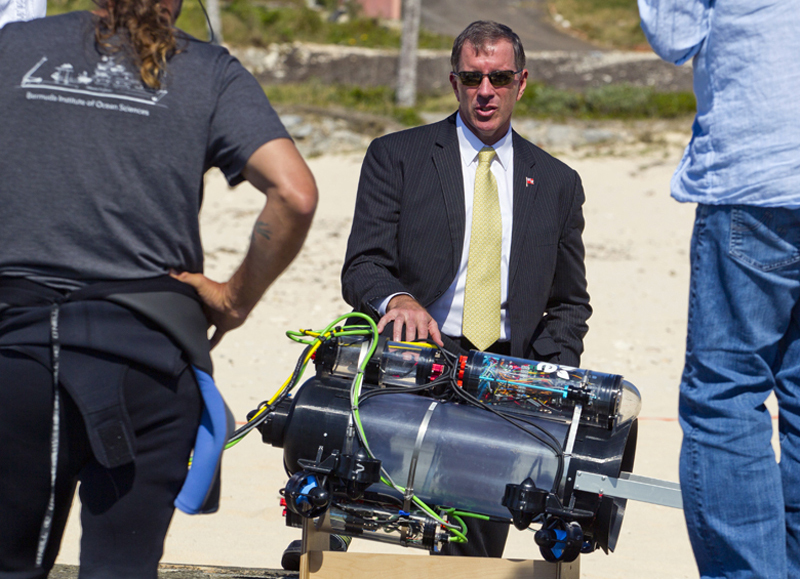 With the help from the Bermuda Government, RSE Guardian LF1 represents a promising step forward in culling the population of lionfish by creating a sustainable means to collect lionfish from the deep, bring them to market and most importantly, improve the health of our oceans,” said Premier Michael Dunkley. “We are very concerned about the lionfish issue in Bermuda and in our region. 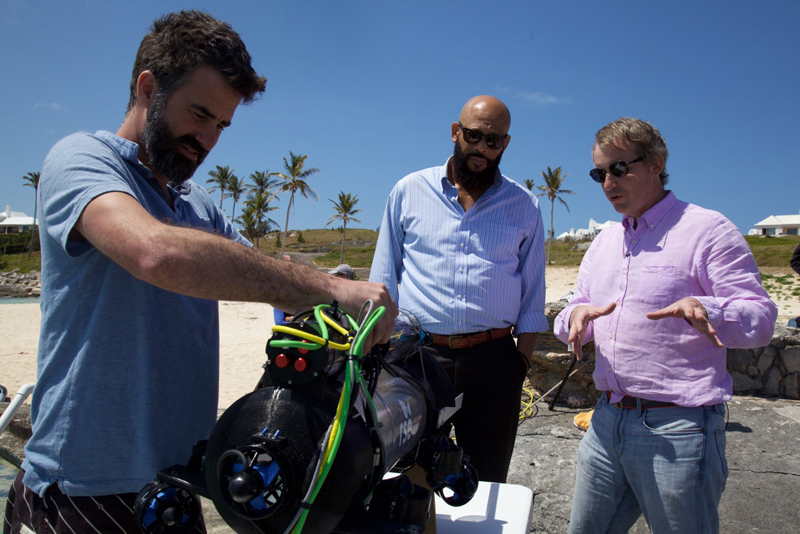 The lionfish invasion impacts the sustainability of our marine ecosystem and this new technology will assist tremendously with their control and management. 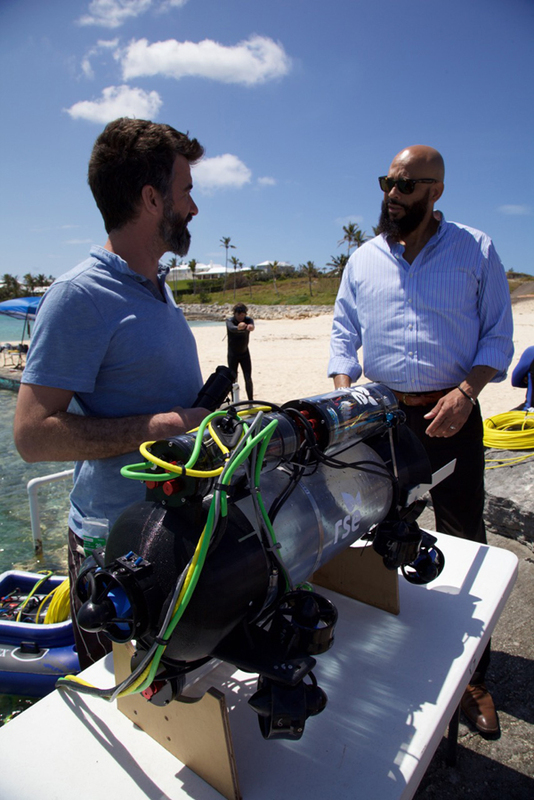 “I am excited that Bermuda, with this technology, can help create a solution to the lionfish problem here and throughout the Western Atlantic. We should all be proud and excited about the great work that is being done here. That would be an awesome conversation starter at parties! If they work well we have multitudes of young people whose only skill is gaming, they would be perfect for operating these units, and it needs to be legal for anyone to sell whole lionfish. I would like to see tests run to find the average catch numbers per day to see if it could prove to be profitable enough to be a job, and large enough to displace the tilapia and swai (yuck) that we import in large quantities. A grand for your robot, $500 kayak to start off with, at $5 a pound you would be making money after your first 300lb. The New York Times reported that this was a spin off from the Americas Cup BAR team. Another super benefit from the Americas cup.